T3's guide to some of the nest reveals, announcements and quirky stories from the world of gadgets and tech. Its only been open for a day and the Detroit Motor Show 2017 already has its first big announcement - the exclusive of the much teased, much rumoured rear drive sports saloon from Kia, the Stinger. Set to arrive on UK roads at a later date, the Kia Stinger will have a turbocharged 2.0-litre four in the base model and a powerful twin-turbo V6 in the Stinger GT version - that's some serious power in a four-dour, all-wheel drive saloon. 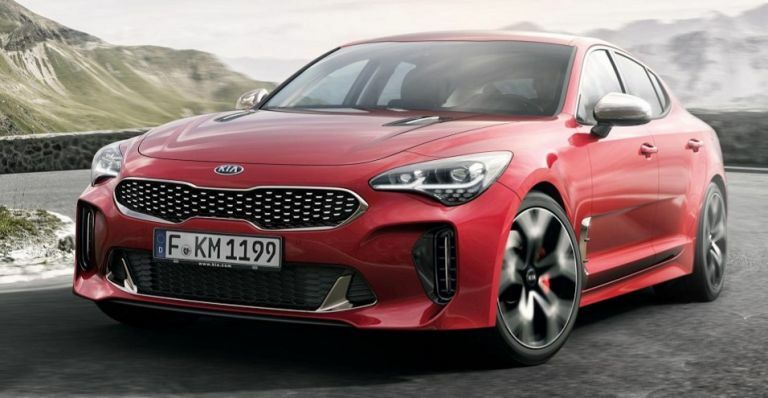 Kia is calling the Stinger the, "highest-performance production vehicle in the company’s history", and considering it has a 3.3-litre, twin-turbo V6, with 365bhp and 376lb ft of torque we'd been inclined to consider agreeing. Oh and there's the whole 'zero to 62mph figure of 5.1 seconds' and a meaty top speed of 167mph. Did we mentioned it's a four-dour Kia, right? Samsung has confirmed it's going to bring compatibility with iPhones and iPads to its range of wearables, including the Gear S2 and Gear S3. Users can now download the Samsung Gear S app for the Gear S2 and Gear S3 or the Samsung Gear Fit app for the Gear Fit2 on compatible iOS devices* from the Apple App Store. Compatible devices include the iPhone 5, iPhone 5S, iPhone 5C, iPhone 6, iPhone 6+, iPhone 6S, iPhone 6S+, iPhone 7, iPhone 7+ and iPhone SE (iOS 9.0 and above). Once the appropriate app is downloaded, users will be guided through steps to complete pairing with the user’s compatible Samsung wearable device. 10 hottest cars, motorbikes and fold-up scooter thingies from CES 2017! Ridewithlocal, a unique action sports service that connects snowboarding, skiing and surf loving adrenaline junkies with the best and most accessible events and rides in the world, is preparing to launch a new crowdfunding campaign to help grow its concept. Launched just over a year ago, Ridewithlocal has attracted top snowboard pros such as Nicolas Muller as advocates, signing up 650 locals from over 40 countries and offering savvy riders everything from an exclusive surf and yoga camp in Morocco to a heliboarding mission in Canada with top snowboard pro DCP. The new campaign - which has gone live on CrowdCube - is aiming to attract to investors so it can become the number one action sports panel in the world, as well as continuing to fund charity projects in Sri Lanka and France. It's also looking to improve the service it offers by giving Locals (or those organising events through Ridewithlocal) greater connection to their clients.